It seems like Cherry Mobile is regularly doing some promo or discount sales in their stores around Metro Manila. Their sales attract droves of people who want to buy cheap but reliable phones. I have one Cherry Mobile phone and that is 1202i, which I bought last year and costs about 1,000 pesos. My Cherry Mobile 1202i is still alive and functioning as of this day. 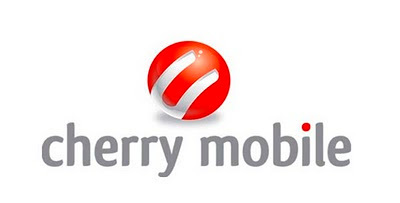 I was looking for a phone last week so I dropped by a Cherry Mobile store at SM. While I was looking at the Cherry Mobile phones at the display, I saw a man who availed the Cherry Mobile phone that is on sale. He already paid for the phone that he bought and the saleslady already gave him his receipt. The man asked the saleslady if the Cherry Mobile that he bought has a warranty. To the dismay of the man, the saleslady answered that there is no warranty for Cherry Mobile phones that are on sale. Well, this is very much like CD-R King, which also doesn't issue warranty for their products. So, if you are going to a Cherry Mobile sale, be aware of the fact that Cherry Mobile may not issue warranty for their products on sale. Visit Before the Eastern Sunset and read about the new item on Jollibee Menu: Jollibee Float. No Cheery here. But these warranties - usually ok...but once the term runs out, problems will start to appear. That is the mystery of warranties. These mobile phone manafacturers have engineers that measure when problems will appear on their products. So, they put the warranty at the time when problems start cropping up. I am not sure about it Alps. This is just a story related to me by my brother. People who will buy at a Cherry Mobile sale should ask important things first like warranty before giving their money to the cashier.